How Do I Find Math Help for Girls? 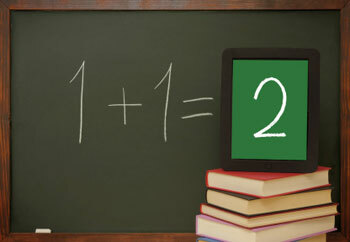 Boys and girls are both capable of achieving and maintaining high math scores. As such, math does not need to be taught differently simply based on gender. However, if your child is struggling and needs math help, consider appealing to her interests. Keep reading to learn more about how to make math interesting for your daughter. Sometimes students have a hard time connecting what they learn in the classroom to real life. As a result, math can seem dry, dull and even unnecessary. 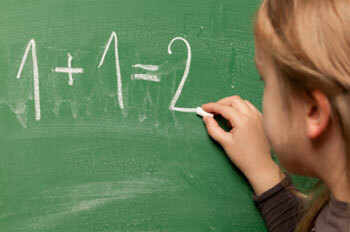 Help your child understand the importance of math by having her use her math skills in real-life situations. For example, the next time you bake, ask your child to help you by doubling the recipe. This will require her to multiply using fractions. If the recipe calls for 3/4 of a cup of flour, then your child would double the recipe by multiplying 2 x 3/4, which equals 3/2 (or 1 1/2) cups. Similarly, have your child help you build an art project, like a bird house. To construct the bird house, your child will have to use measuring skills. Suzy has three pet tigers and one pet bear. If each tiger eats four pounds of food per day, and the bear eats three pounds of food each day, how many pounds of food does Suzy need to buy per day? You might also consider using review games to study at home. For instance, fill in a tic-tac-toe board with math problems. To place an 'X' or 'O' on the board, the players must first accurately solve the problem in that space. Because this game is fun and educational, your daughter is likely to enjoy math a bit more while playing it. If your daughter is struggling to learn math, it may be because her learning style doesn't coincide with how her teacher is presenting the material. Students tend to be visual, auditory or kinesthetic learners. Visual learners learn best when they see the material, and auditory learners benefit from hearing things explained aloud. Kinesthetic learners process information best when they can move and interact with physical materials. Often, information in school is presented visually, which causes problems for students with other learning styles. At home, you can reteach the material to meet your child's individual learning style.